Collaboration as it turns out, between three scientists interested in vertebrates, invertebrates and algae! A few days before we left for Evolution 2016 in Austin, one of my collaborators, Eric Pante, came to Charleston as the final stop in a North American sampling trip. Eric had been a master’s student at the College of Charleston, where I was a post-doc. We knew the same people it turned out in the US and in France, where I did my PhD. Yet, we had never crossed paths until I wrote a post for TME about a paper he led on species as hypotheses. Thanks to TME, I had found an eager host for a trip to La Rochelle, France as part of the Northern Hemisphere Gracilaria sampling effort led by myself and colleagues at the College of Charleston. Eric’s arrival in Charleston led to the realization that I had never finished my travelogue series. I left off with the German and Danish sampling anecdotes way back in December. My last two stops in France were sadly neglected. 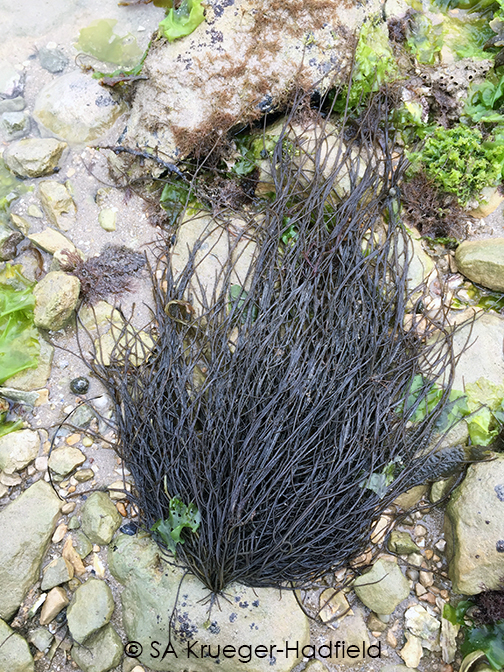 While we were searching for Gracilaria in and around La Rochelle in September 2015, I got to talking to Eric’s collaborator Amelia Viricel. In addition to the TME connection with Eric, I started another collaboration with Amelia on invasive ascidians. Once I was back in Charleston and started the travelogue posts, I wanted to try and highlight the research that was going on in the labs that opened their doors to us. While talking to Amelia, her work on highly mobile marine predators was certainly a departure from the things I normally think about or write about! But, before we get to her work, I want to highlight a bit of the reasons why we stopped over in La Rochelle. This area was very important for oyster importation in France and, therefore, a necessary sampling area in order to understand the Gracilaria vermiculophylla invasion. Just two days of sampling provided us with some much needed sites in France as well as a serendipitous small manuscript about the population structure of gracilarioid algae in the region. It was certainly a great way to end after 32,500 miles (52,400 km) in airplanes and over 5,400 miles (8,770 km) in rental cars of varying comfort! A description of the shore, wish we saw more of these along beaches here in the US! One of our field sites next to oysters and an appropriately moody sky. Another site we sampled that was much muddier and stormier. 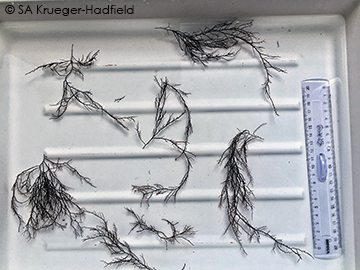 Processing algal fragments … how many genotypes are there? Where do dolphins fit into this mix?? 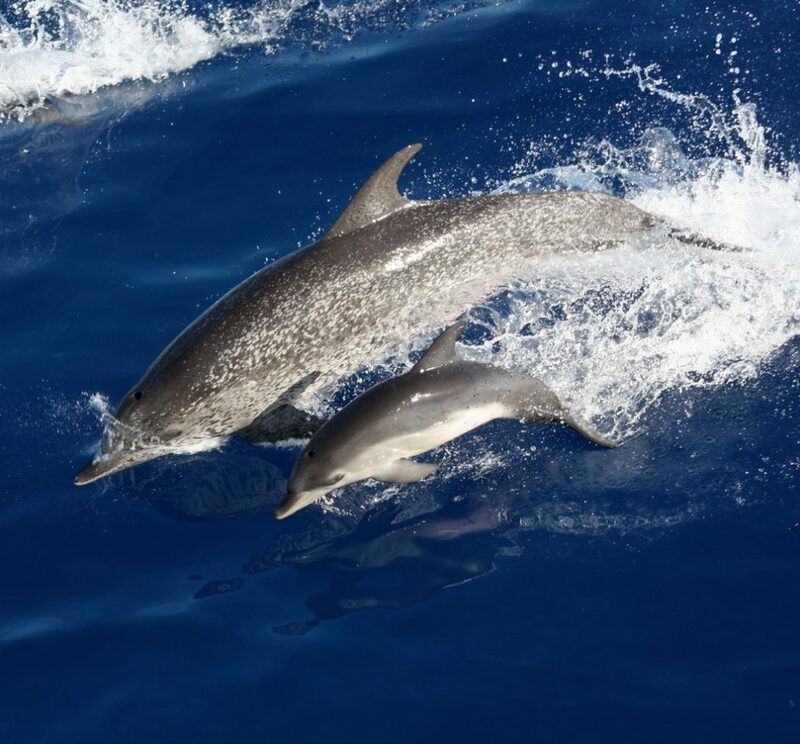 Some of the research conducted at the University of La Rochelle (ULR) focuses on the ecology and evolution of highly mobile marine top predators, including cetaceans (dolphins, whales and porpoises). These taxa are interesting model-systems to study population divergence and speciation in the marine environment: they can display various patterns of population structure (from fine-scale genetic differentiation to large panmictic populations). These differences depend largely on their habitat and feeding preferences, demographic history and social structure. Genetic analyses provide a powerful indirect approach to study these pelagic taxa. As a doctoral student (University of Louisiana at Lafayette, USA), and more recently as a postdoctoral researcher (ULR, France), Amelia Viricel has used molecular tools to study the microevolution of several species in this group. As part of her dissertation, Amelia analyzed genetic data obtained from biopsy samples collected from >400 free-ranging spotted dolphins (Stenella frontalis, Fig. 1). Fig. 1. A mother-calf pair of Atlantic spotted dolphins (Stenella frontalis) photographed in the Gulf of Mexico. Heavy spotting is characteristic of the morphotype found in continental shelf waters of the western North Atlantic as opposed to the oceanic morphotype inhabiting deep oceanic waters of the Atlantic. The calf lacks spots as they appear later in age. Photo credit: NOAA SEFSC, MMPA Permit No. 779-1633. Using 19 microsatellite loci, she characterized the habitat differences between two genetically divergent, parapatric morphotypes within this species (Fig. 2 and 3). Importantly, her thesis research will help delineating conservation units in this taxon characterized by a continuous distribution across large areas of the ocean (Viricel & Rosel 2014). Fig. 2. 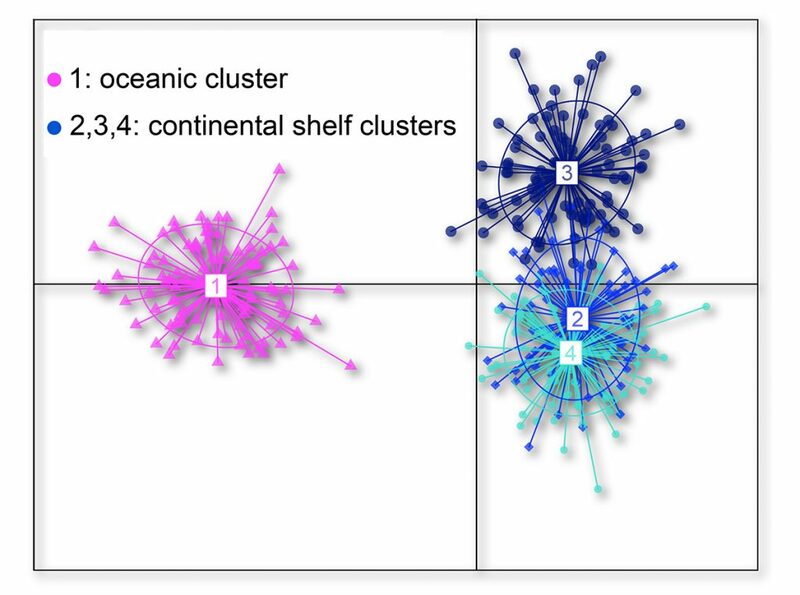 Genetic clusters identified using 19 microsatellite loci (DAPC). Fig 3. 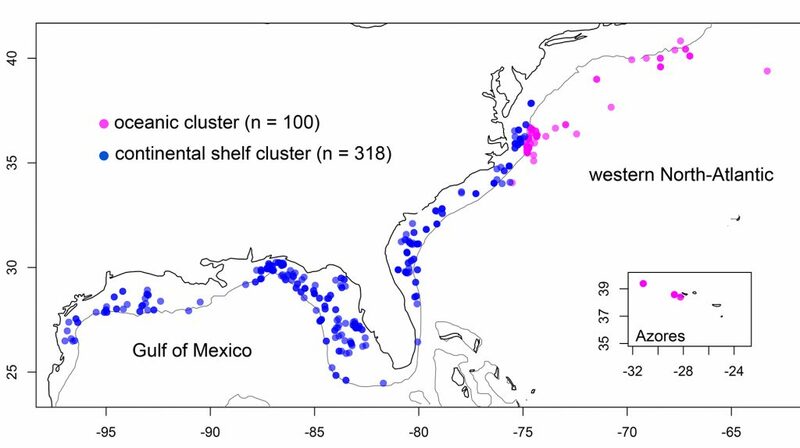 Map showing sampling locations for individuals of the oceanic and continental shelf clusters. Stranded marine mammal specimens also represent an important source of information in the conservation of these protected taxa. 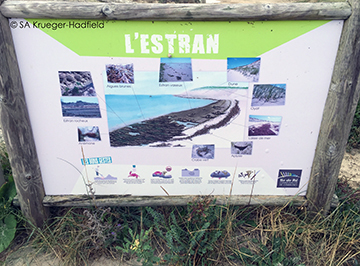 Thanks to the effort of the French national stranding network coordinated by Pelagis in La Rochelle (ULR), tissue samples are collected from stranded cetaceans and preserved for subsequent analyses. 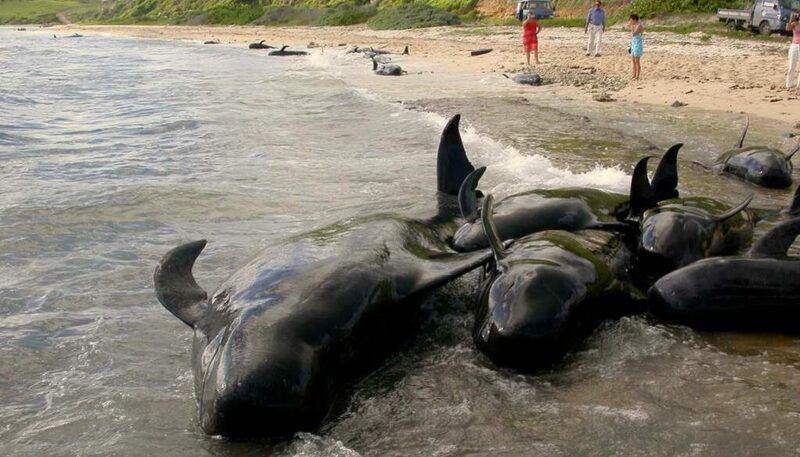 During a postdoctoral fellowship in La Rochelle, Amelia led the identification of 23 stranded pilot whales to the species level using mitochondrial DNA sequences (Sabatier et al. 2015). These data revealed two recent, unusual stranding events of the more tropical species (Globicephala macrorhynchus) along the Bay of Biscay (Northeast Atlantic), which constitutes the northern limit of the species range. This study contributed to on-going monitoring efforts of marine mammal species diversity of this region, with emphasis on the effects of climate change. A genetic approach was particularly useful to identify each stranded specimen to the species level, as morphological information was incomplete for some individuals, or could not be used to distinguish between the two species due to overlaps in morphological characters (Fig.4). Fig 4. A. 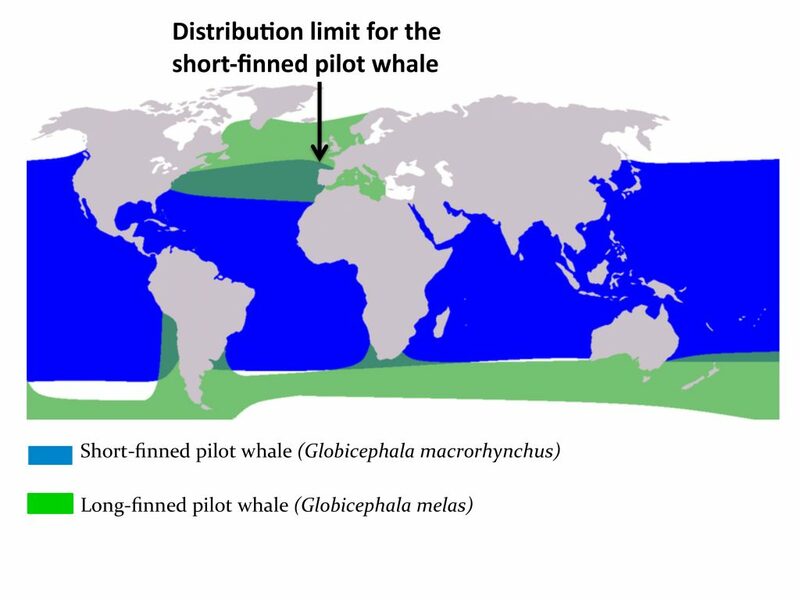 Geographic distribution of the two species of pilot whales (Globicephala spp.). A Viricel and PE Rosel. (2014) Hierarchical population structure and habitat differences in a highly mobile marine species: the Atlantic spotted dolphin. Molecular Ecology 23: 5018-5035. This entry was posted in bioinformatics, blogging, career, conferences, DNA barcoding, haploid-diploid, natural history, phylogenetics, phylogeography, population genetics and tagged cetaceans, collaboration, Gracilaria, population genetics, sampling, Travelogue. Bookmark the permalink.